OK, you’ve bought a stylish, hip pair of Bobux shoes for your little sweet-pea but you now realise you need some clothes to match. Well, don’t panic- we’ve got you covered. The other week, we focused on 6 of our favourite bloggers who show off their kids’ styles. This week, we thought we’d delve even further, to look at 7 ultra-stylish kids clothing companies that work super well with our shoes. So down the rabbit hole we go, plunging ourselves headfirst into the world of cute garments, animal beanies and adorable onesies. We hope you emerge with a Cheshire cat grin like we did! This Melbourne clothing company has some great unisex styles, such as striped tees, wool coats and ice skating dresses. Unlike many kid’s clothing companies, Chalk n Cheese not only has an online store but also a store in St. Kilda from Wed-Sun, where your cherub can try on the lovely garments. What’s more, Chalk n Cheese stocks some lovely dresses designed especially for weddings and special occasions. One+One is a small Sydney-based online boutique that features a delightful range of unisex cotton tees and slouch pants. Comfort meets cool with these relaxed garments that’ll have you (and your kids) going gaga. 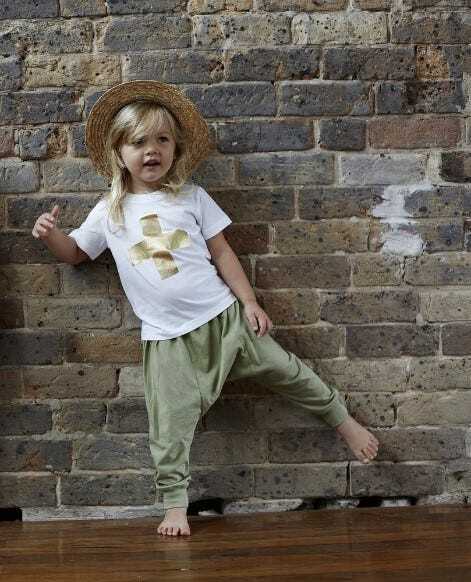 Established by a Melbourne mother with an eye for fashion, Acorn Kids specialises mainly in hats, scarves and mittens. A supporter of ethical and local business, Acorn Kids has some amazing products for boys and girls aged between 0-10 years old. 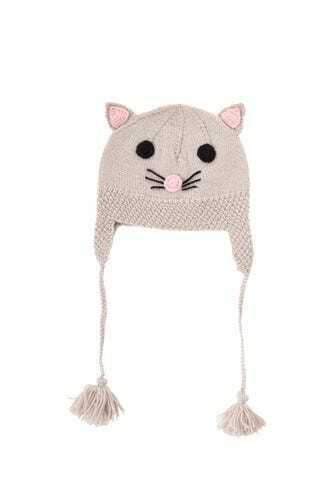 Our personal faves are definitely the animal beanies and mittens designed to look like cats and bunnies. Just be aware that, once your child starts wearing them, they won’t want to take them off. Also be aware that they’ll get more cheek pinching and coos from strangers than ever before. Fact. Cupcakes and Cola is a brilliant kids' boutique store that stocks some killer brands! You'll be sure to find something that's unique, quirky and comfortable, and that looks great over a pair of Bobux shoes. Their sizes range from newborn to size 7. We love the fact that they also sell books, toys, bedding and accessories so you can make it your one-stop shop for all things kids. Make sure you check out their fantastic range today. Winter’s Arrow is an Aussie company that hand makes their clothing using the softest bamboo and organic cotton around. Their rompers strike a great balance between fashion and practicality and come complete with frills for a touch of elegance. Pretty Wild is a small company, which specialises in dresses and coats. We absolutely love their sweet-as-a-button dresses with gorgeous French knot embroidery and Peter Pan-style collars. Their clothes are mainly for girls between 3 months and 12 years. Pretty Wild certainly has an apt name; they’re pretty wild but they’re also just really pretty. 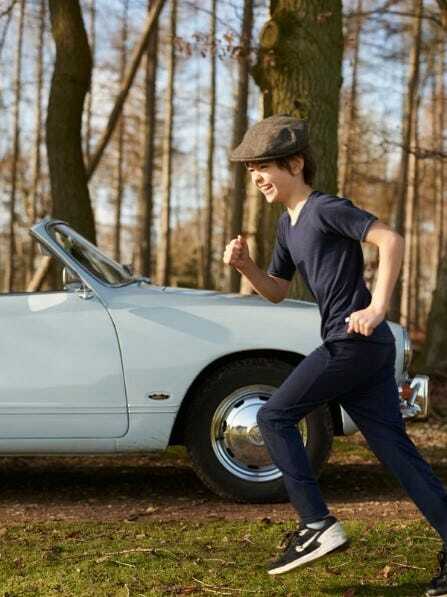 Superfine merino wool garments for kids that look as good as they feel. Made with love by two Kiwi mums living in the UK, your kids will look and feel great in Love My Small’s range of trousers, tees, ballerina dresses and much more. Because they’re all made with the finest New Zealand merino, these clothes hug the body and insulate against cold weather. So there you have it…7 of our favourite places to get fantastic, alternative kids’ clothing. Don’t be like Humpty Dumpty and wait for the king’s horses and men (and women…this is the 21st century) to arrive. Check out the great range of clothes these boutique kids’ clothing companies offer before they’re all gone. And once you’ve found some adorable garments for your lil’ prince or princess – and if you’re like us, perhaps gone a little overboard ordering every second piece you see because they’re all so bloody cute – you’ll probably want some more award-winning Bobux shoes to go with all your new purchases.